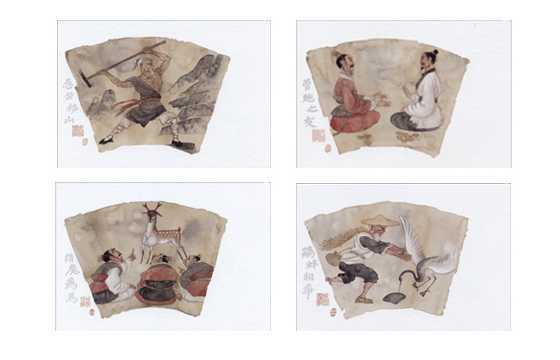 Idiomatic stories are the most wonderful works in Chinese literature, and are part of its precious cultural heritage as well. 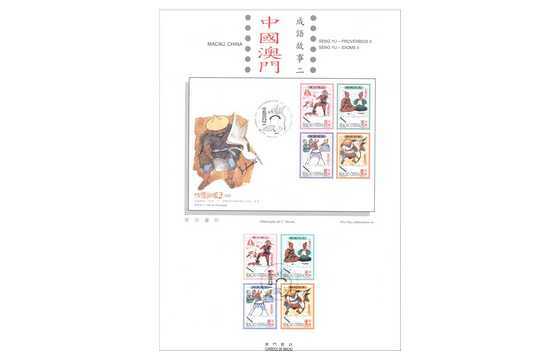 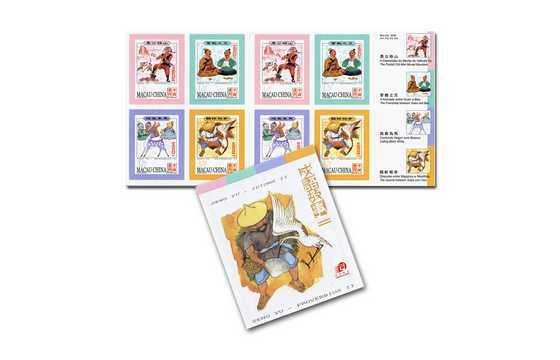 Following the first series of stamp “Seng Yu – Idioms” issued on 1st February, 2001, the second series will be issued on 1st June, 2007, the Chinese idiomatic stories depict on the four stamps are “The Foolish Old Man Moved Mountain”, “The Friendship between Guan and Bao”, “Calling Black White” and “The Quarrel between Snipe and Clam”. 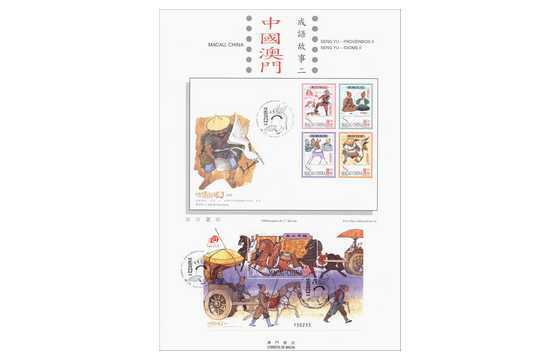 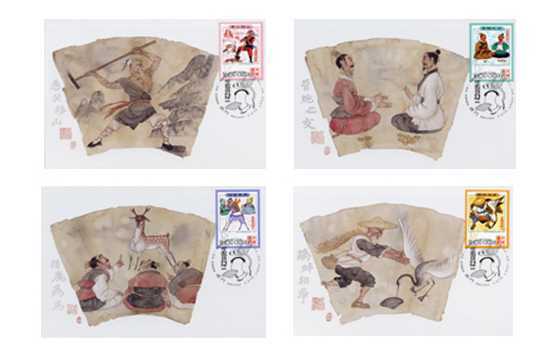 The souvenir sheet depicts the story “Carts Flow like a Stream and Horses Move like Dragons”. 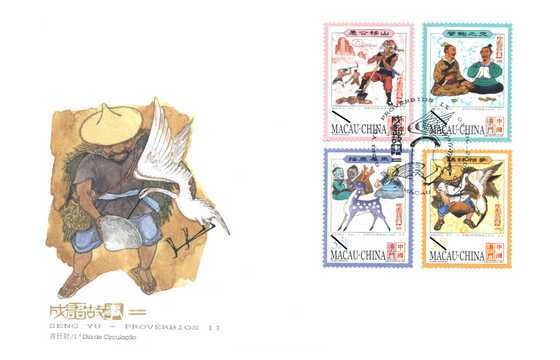 It also includes the first issue of Macao Self-adhesive Stamp, which will be released in the Booklet with a total of 8 stamps. 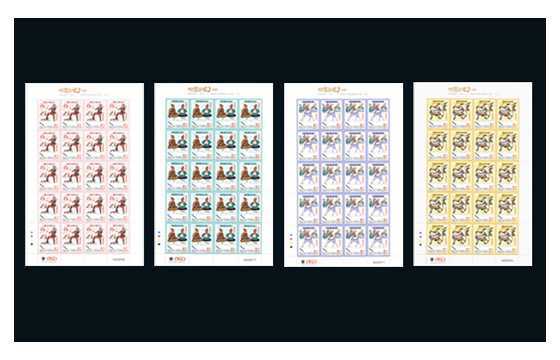 Due to the limited quantity, the sales restriction per queuing customer on the issue date is 10 booklets. 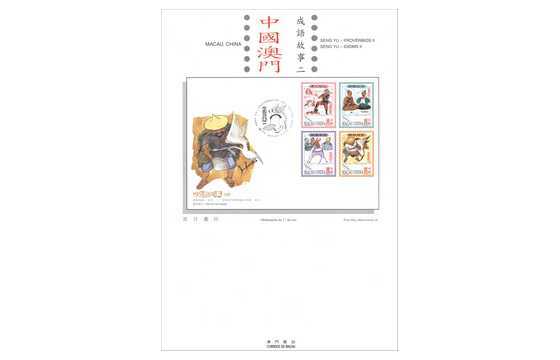 A limited amount of First Day Cover, Information Brochure and Postcard (all without stamps) will be available for sale on the issue date, customers can produce the philatelic products by affixing the self-adhesive stamps. 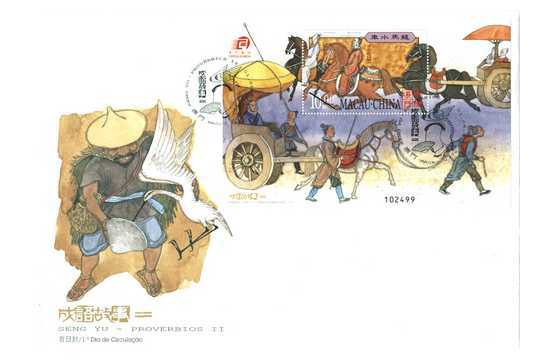 The stamp designer for this issue is Mr. Lio Man Cheong, and the text for the information brochure is written by Mr. Yin Degang. 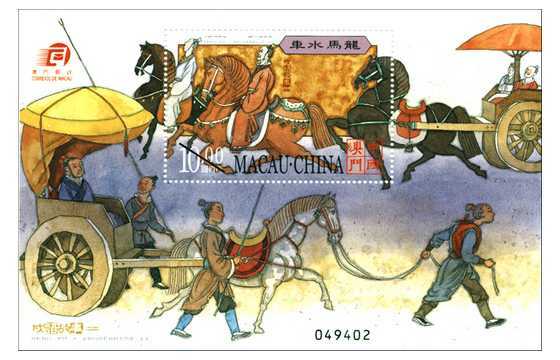 This is the fifth issue in 2007. 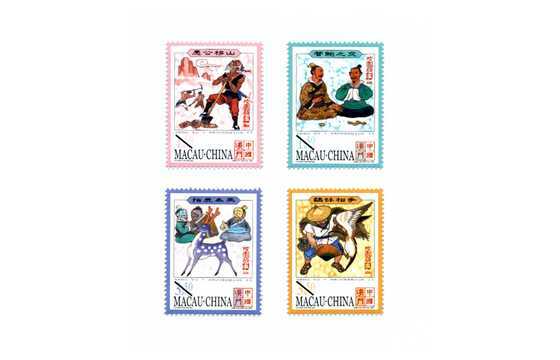 The issued stamps are as “Lunar Year of the Pig” on 08/01/2007; “Shek Wan Ceramics” on 03/02/2007; “Scenes of Daily Life in the Past IV” on 01/03/2007 and “Chinese Traditional Shops II” on 08/05/2007. 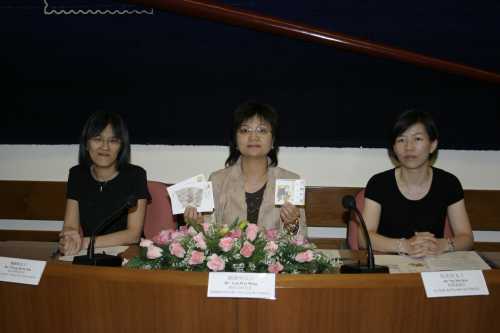 To celebrate the “Macao – Jiangmen Joint Stamp Exhibition”, Macao Post announced that a Temporary Post Counter will be set up at the UNESCO Centre of Macau – Multifunctional Room at 11H00 to 19H00 on 22nd June 2007 providing the commemorative cancellation service for the “Macao – Jiangmen Joint Stamp Exhibition”.